 Pheronym is a Hello Tomorrow Top 500 deeptech startup! Pheronym, Inc. is excitedto be selected as one of Hello Tomorrow’s Top 500 deeptech startups worldwide in the Food, Agriculture & Environment track ! This year, Hello Tomorrow had a record of over 4,500 applications from 119 countries. Being in the Top 500 means Pheronymrecognizedised as one of the most promising projects in deep tech to date. To celebrate this, Pheronym is invited to Hello Tomorrow Investor Day on March 13th, 2019 and to the Hello Tomorrow Global Summit on the 14-15th of March in Paris! Hello Tomorrow, supported by the French Ministry of Foreign Affairs, is the world’s leading organization accelerating science and tech entrepreneurship. Its mission, since 2011, has been to catalyze the intersection of top researchers, entrepreneurs, industry experts and financiers to build the next generation of companies that can really solve humanity’s big challenges.